I should be writing report cards but I got sidetracked and made this rainbow clipart instead. It's a 9-inch wide 300 dpi png file. Perfect for printing or using onscreen. I'm trying to put together a new St. Patrick's Day set of clipart but I'm gonna be honest ... it's hard to find the time when I'm supposed to be writing those darn cards. If I follow my usual pattern I'll have the set finished the day before. Haha! 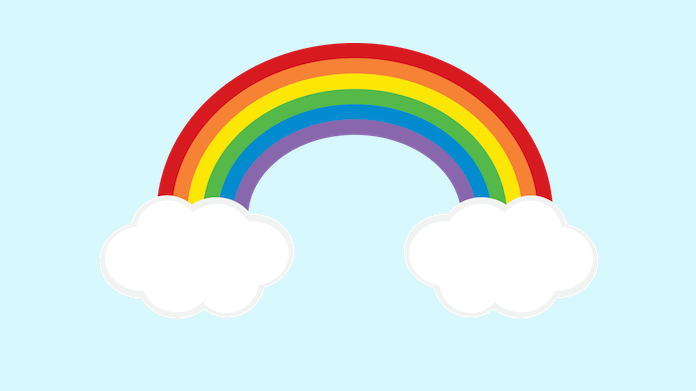 In the meantime, enjoy this little rainbow clipart freebie. 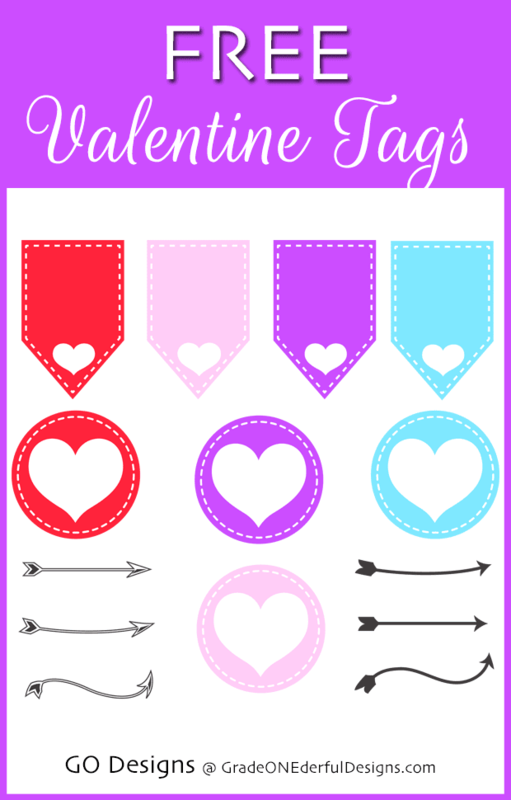 DAY 14 of Valentine Clipart brings you eight free Valentine tags in four bright and pretty colours! 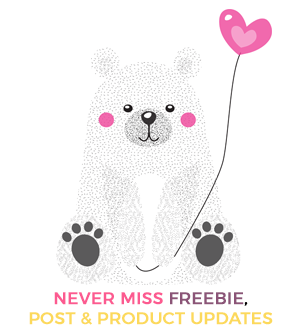 Welcome to Day 14 of the Valentine Clipart Freebies. These pretty little tags can be put to all sorts of use. I call them Valentine tags, but really, they can easily be used all year round. They could be used for planner stickers, for making bookmarks, as social media icons, for jazzing up worksheets and for party invites. All kinds of things! The tags are just under two inches in size. Same with the little arrows. When you download these freebies you'll receive one folder containing 14 separate png files: Eight beautiful tags and six arrows. TOU's: You're very welcome to use the tags on teacher products as long as you give me full credit. 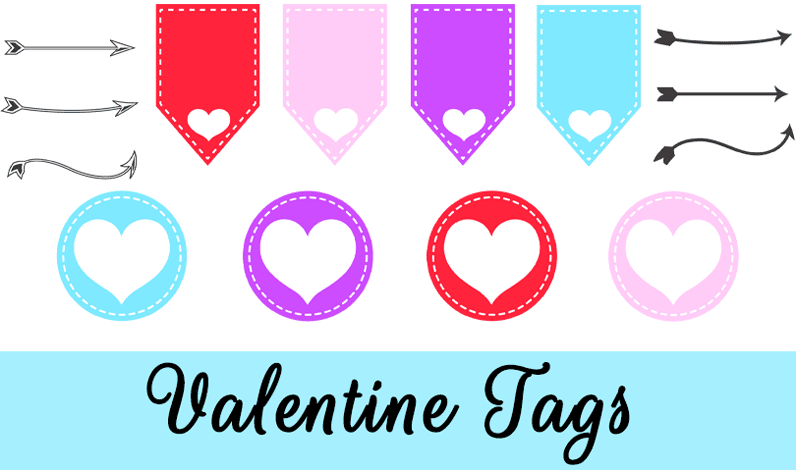 If you DO grab the free Valentine tags, please either leave a comment or share them. I'm trying to grow my little business and sharing my blog posts would really help. So thank you, in advance! And that's it! The 14 Days of Valentines Freebie extravaganza is over. I hope you enjoyed all the clipart and were able to put it to good use. 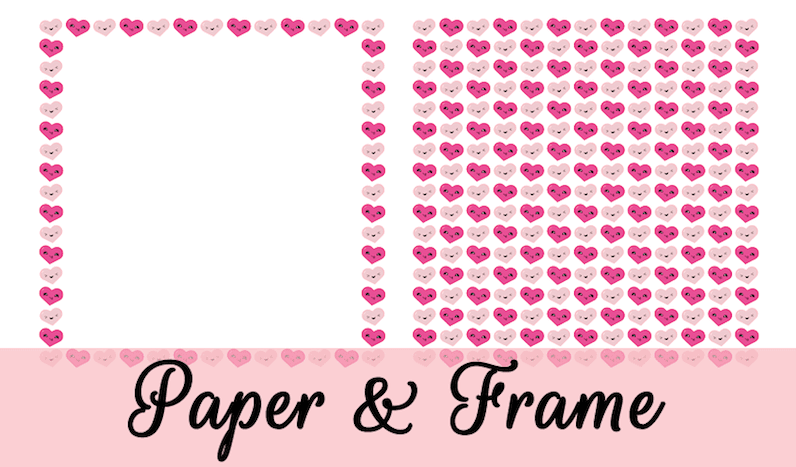 Today you can download some pretty kawaii paper and a frame for Valentine's Day. Welcome to Day 13 of the Valentine Clipart Freebies. 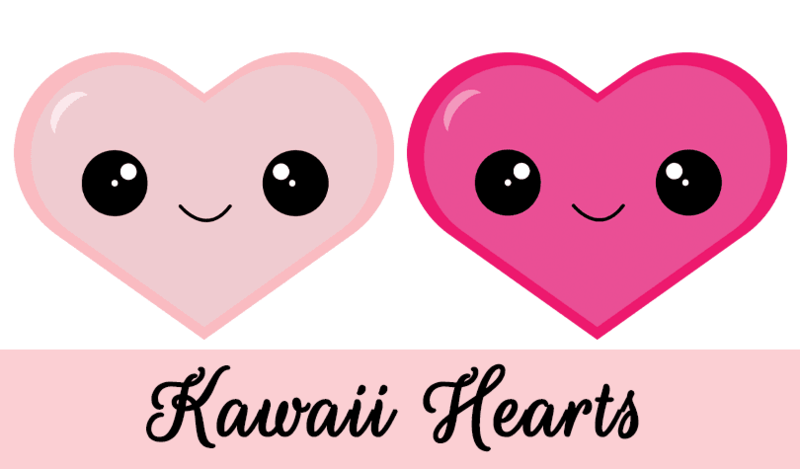 Yesterday I made several kawaii hearts (two of which are FREE). I liked them so much that I used a couple of them today to make some Kawaii paper and a frame. The paper and frame come in two sizes: 12 x 12 and 8.5 x 11 inches. I set up the paper pattern so that the hearts are perfectly aligned on each sheet. This means that when you print it out you won't have any half bits showing around the edges. When you download these freebies you'll receive one folder containing four separate png files: The 12 x 12 inch paper and frame (as shown above), plus the exact same frame and paper in letter size. TOU's: You're very welcome to use the frames and paper on teacher products as long as you give me full credit. If you DO grab the kawaii paper and frames, please either leave a comment or share them. I'm trying to grow my little business and sharing my blog posts would really help. So thank you, in advance! Hi friends! 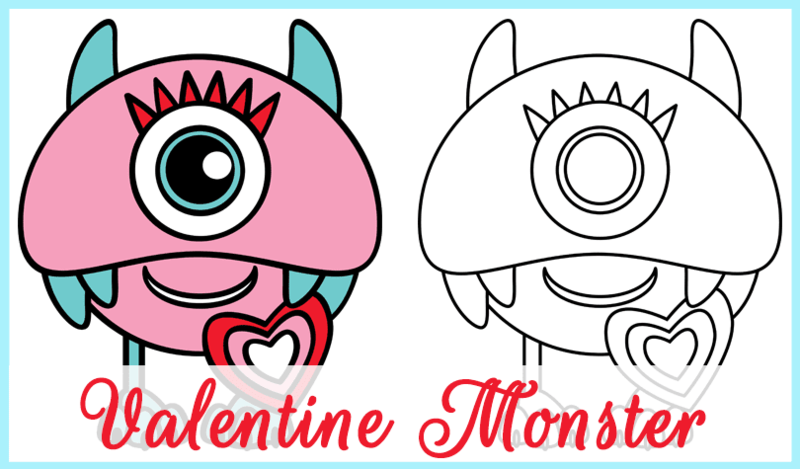 I just finished making a Valentine Monster. 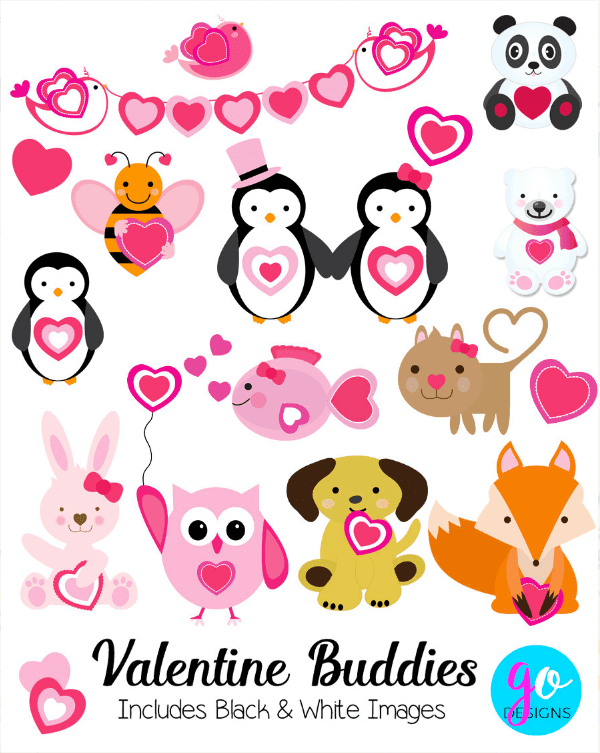 Welcome to Day 10 of the Valentine clipart freebies! 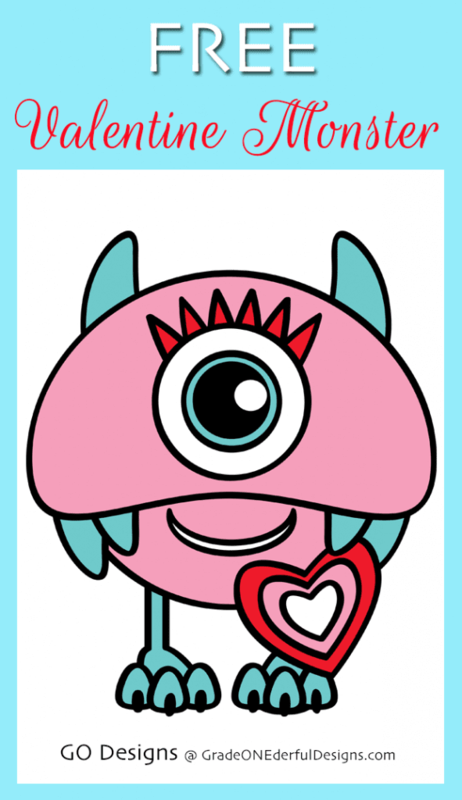 This little one-eyed Valentine monster is sure to brighten up your Valentine's Day. She would look great on bookmarks, Valentine cards, bingo games for kids, teacher products, invitations, you name it! The monster is 8 inches wide and about 9.5 inches tall. When you download the file you'll receive both the coloured and the black and white versions. TOU's: You're very welcome to use the monsters on teacher products as long as you give me full credit. The only thing I ask is to please either leave a comment or share them. I'm trying to grow my little business and sharing my blog posts would really help. So thank you, in advance! Be sure to check in tomorrow for Day 11! Hey folks! 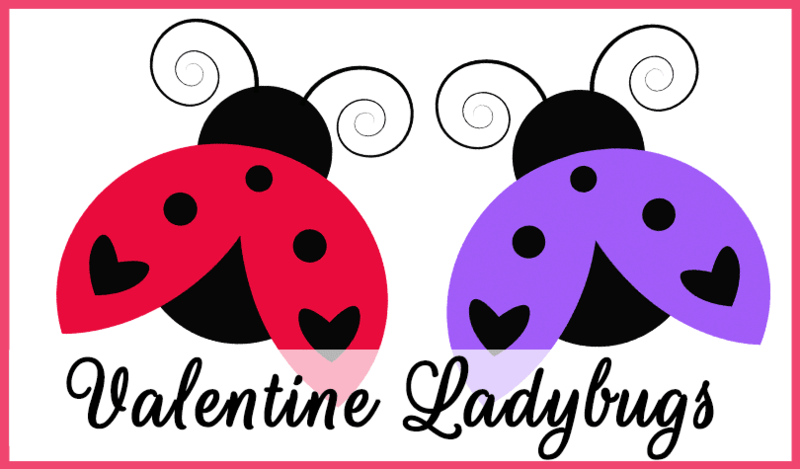 Today I'm sharing two Valentine ladybugs. 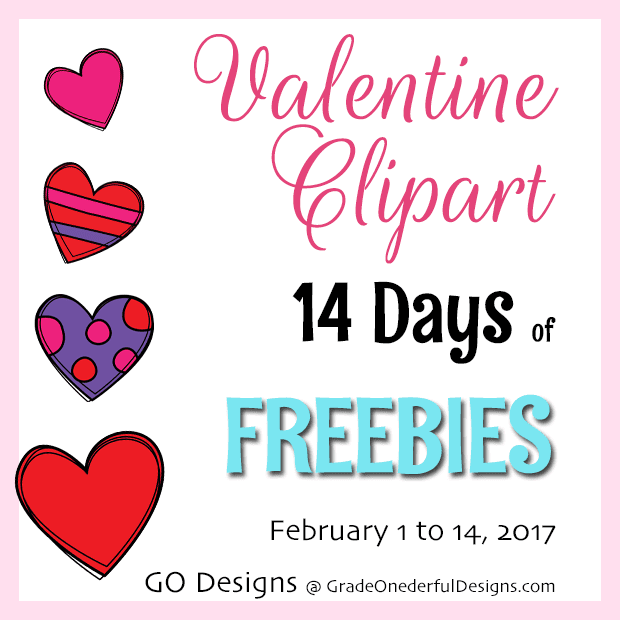 Welcome to Day 11 of the Valentine Clipart Freebies! It's a little early for ladybugs, especially around here! We've just come out of a huge snow blizzard. Happily though, it started raining yesterday and now the roads are all very drivable. While you're waiting for the real deal to arrive, be sure to download these free cuties. 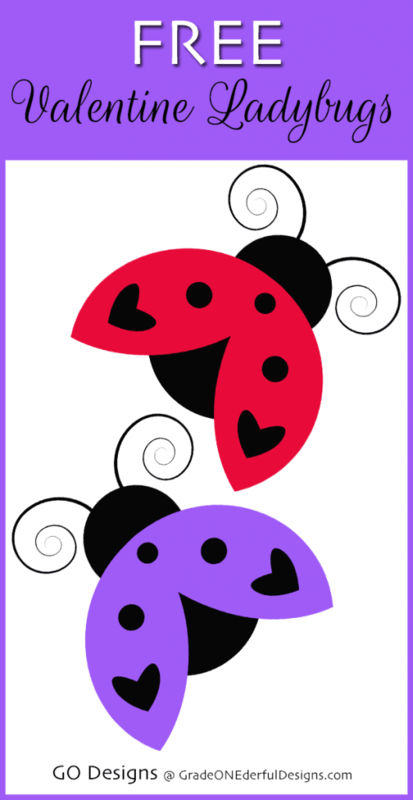 Both Valentine ladybugs would look great on bookmarks, cards, games for kids, labels, frames, teacher products, invitations, you name it! The ladybugs are both about 4 inches wide. Each image is a separate png file. This means they have transparent backgrounds which makes them perfect for layering. TOU's: You're very welcome to use the ladybugs on teacher products as long as you give me full credit. The only thing I ask is to please either leave a comment or share them. I'm trying to grow my little business and sharing my blog posts would really help. So thank you in advance! Be sure to check in tomorrow for Day 12! 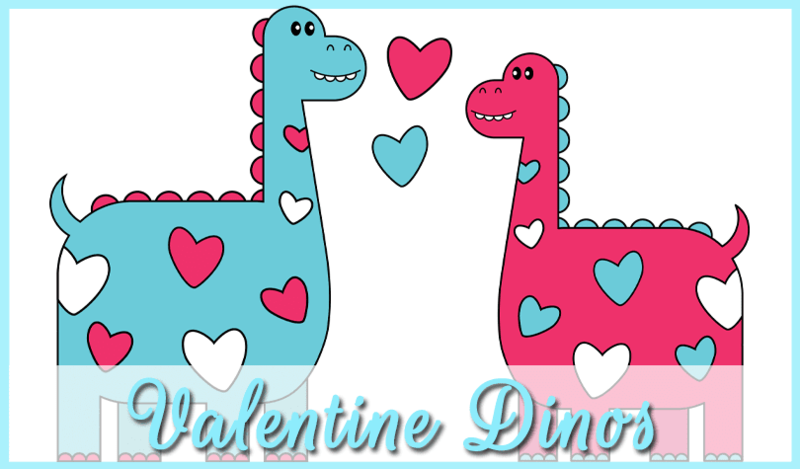 Adorable Valentine dinosaur clipart just for you! Welcome to Day 9 of the Valentine clipart freebies. 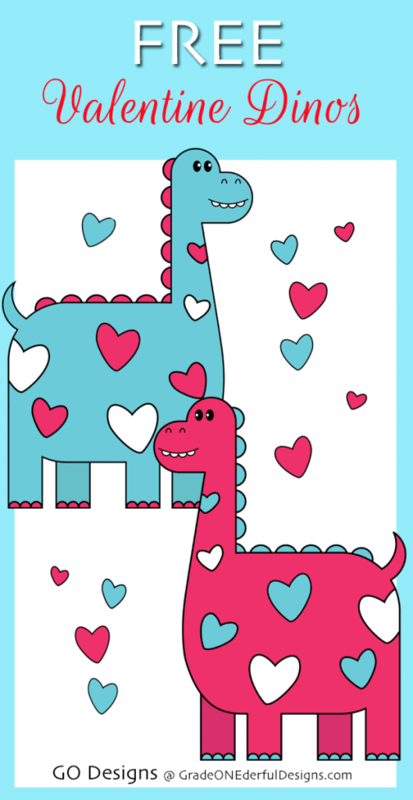 I had lots of fun making this Valentine dinosaur clipart last night. But I have to admit, every time I "took a step back" and looked at them I had a little giggle because their little tails reminded me of puppy tails! Definitely not your typical dinosaur tails, but I like them and they make me smile ... so hopefully they have the same effect on you! The dinosaurs are about 13 1/2 inches tall. Kind of big, but better big than small because you can always reduce the size and still maintain the crispness of the image. You'll receive 3 png files: The two dinos above with the hearts, and then each dino by itself. TOU's: You're very welcome to use the cupcakes on teacher products as long as you give me full credit. If you DO grab the dinosaurs, please either leave a comment or share them (share buttons are below and there's a hover pinterest button on each image). I'm trying to grow my little business and sharing my blog posts would really help. So thank you, in advance! 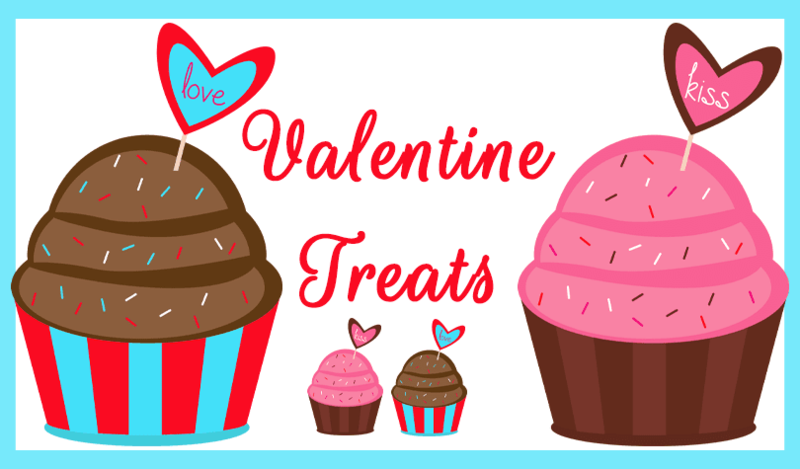 Today I'm giving away some very delicious Valentine cupcake clipart! Welcome to Day 8 of the Valentine clipart freebies. I absolutely LOVE cupcakes. I love the colours, the shape and all the sweet memories and images they evoke. Unfortunately, I don't get to eat them very often because I'm gluten-intolerant and very lazy in the kitchen. 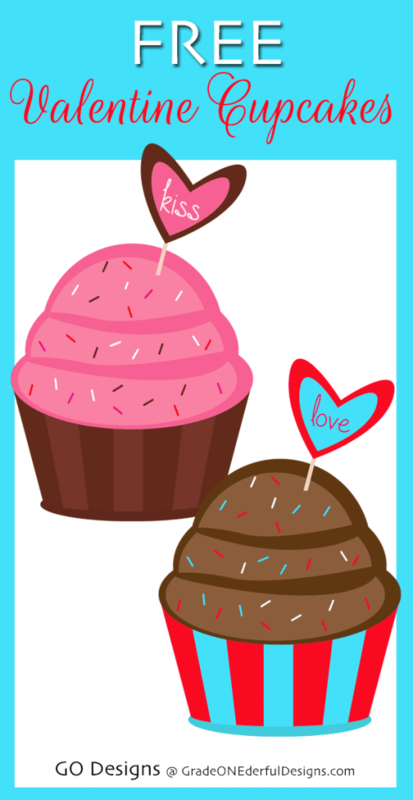 I had such a fun time making this Valentine cupcake clipart for you that I'm pretty sure they'll become part of a larger set. And as I was working on them I was also thinking it would be fun to make some green ones for St. Paddy's Day. If you DO grab the cupcakes, please either leave a comment or share them (share buttons are below and there's a hover pinterest button on each image). I'm trying to grow my little business and sharing my blog posts would really help. So thank you, in advance! I have a sweet vintage owl for you today! Welcome to Day 7 of the Valentine clipart freebies. 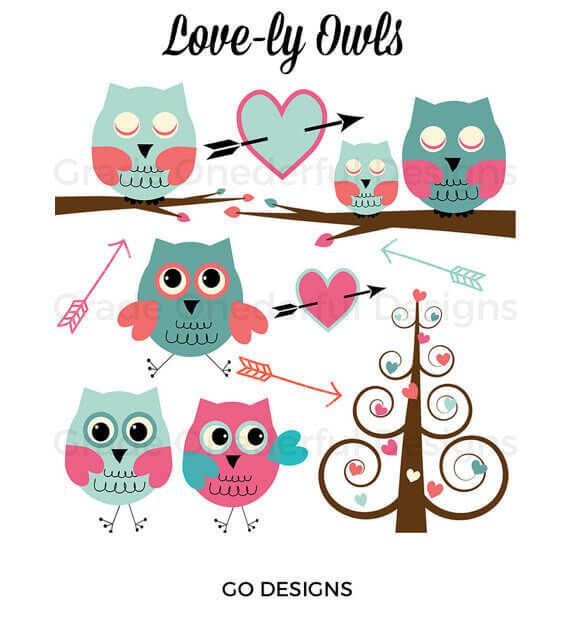 This adorable owl is part of the Love-ly Owls set in my Etsy Shop. 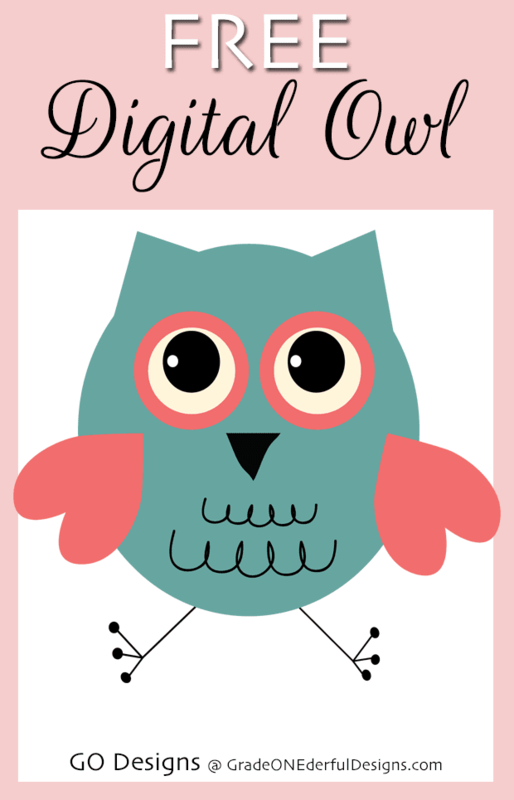 He's the perfect addition for all your Valentine printables and teacher products. You're very welcome to use the owl on teacher products as long as you give me full credit. 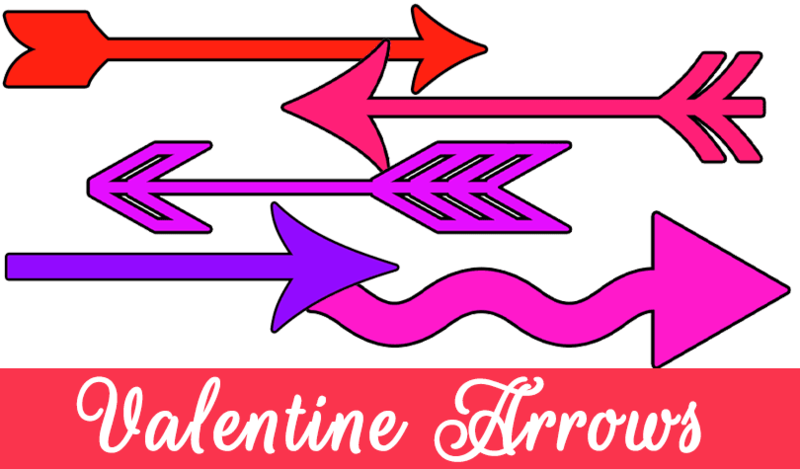 I have some very sweet Valentine bunting for you today! Welcome to Day 6 of the Valentine clipart freebies. This pretty bunting would look so cute on Valentine party invites, cards, and scrapbooking projects. 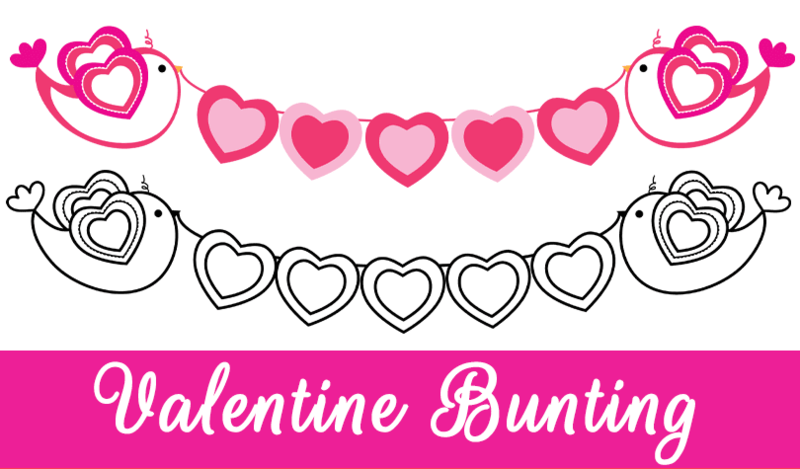 The bunting is part of the Valentine's Buddy set in my Teachers Pay Teachers store. You're very welcome to use the Valentine bunting on teacher products as long as you give me full credit. 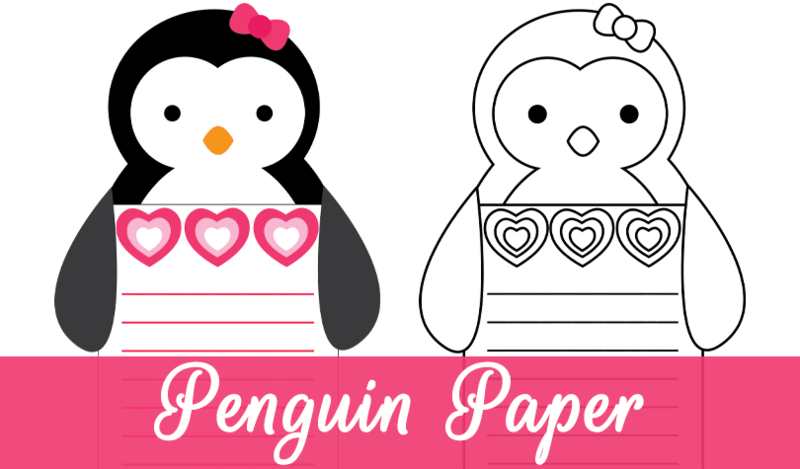 Your kids are going to love this Valentine penguin writing paper! Welcome to Day 5 of the Valentine clipart freebies. I just KNOW that my class of first graders is going to love this super cute Valentine penguin writing paper. In the interest of saving ink I'll give them the black and white version so they can colour it when they've finished their writing. It's perfect for writing about Valentine's Day. 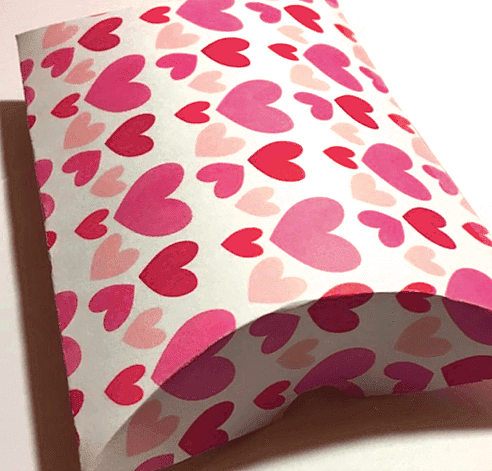 The kids could describe their favourite Valentine card, write an ode to a loved one, copy a Valentine poem, or use it to write a response to a Valentine book. So many uses! Both png images are 12 inches long (in case you want a bigger sheet for little hands), but of course they're easily down-sizeable to 8 1/2 by 11 inches. 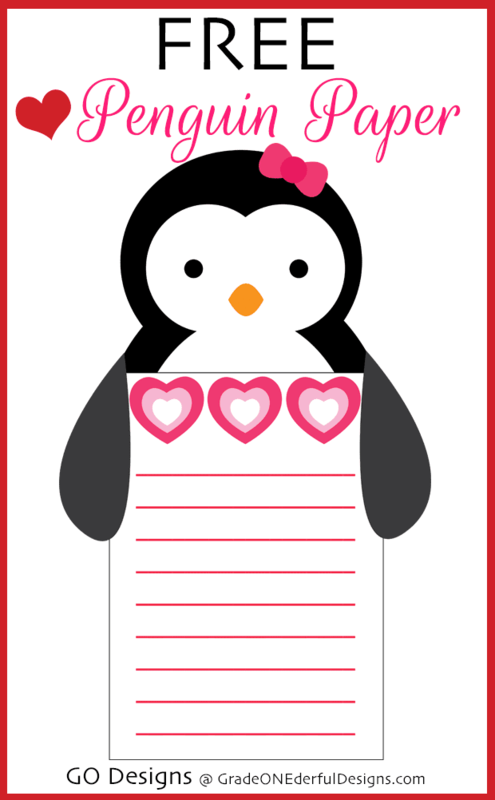 If you're loving the little penguin, she can be found in my Valentine's Buddy set in my Teachers Pay Teachers store. You're very welcome to use these on teacher products as long as you give me full credit. Be sure to check in tomorrow for some super cute bunting! 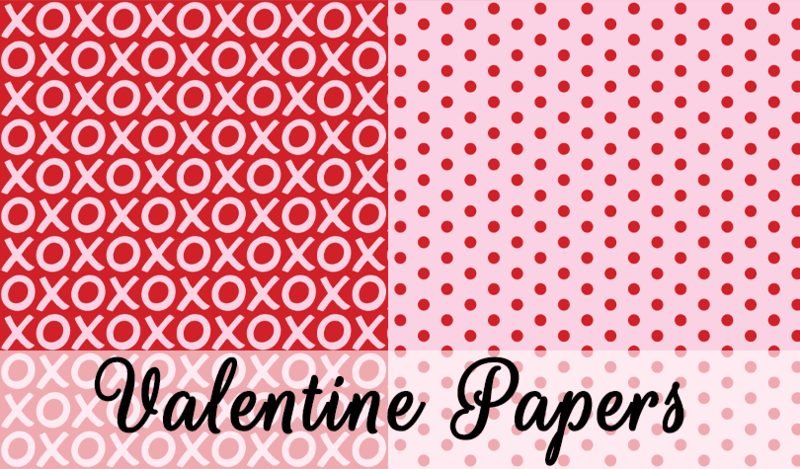 Valentine papers just for you! Welcome to Day 4 of the Valentine clipart freebies. 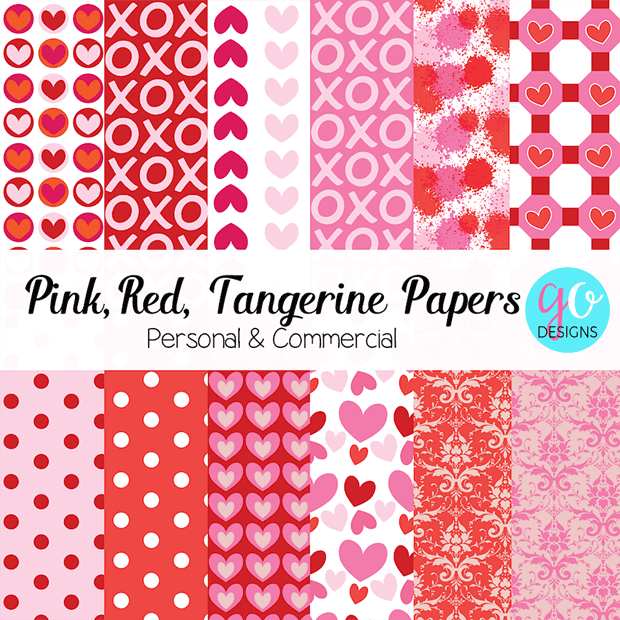 Today you can download the two pink and red digital Valentine papers you see above. Each 300 dpi png image is approximately 12 by 12 inches. These papers belong to this set in my Teachers Pay Teachers store. Be sure to check in tomorrow for some more Valentine goodies! Welcome to Day 3 of the Valentine clipart freebies! 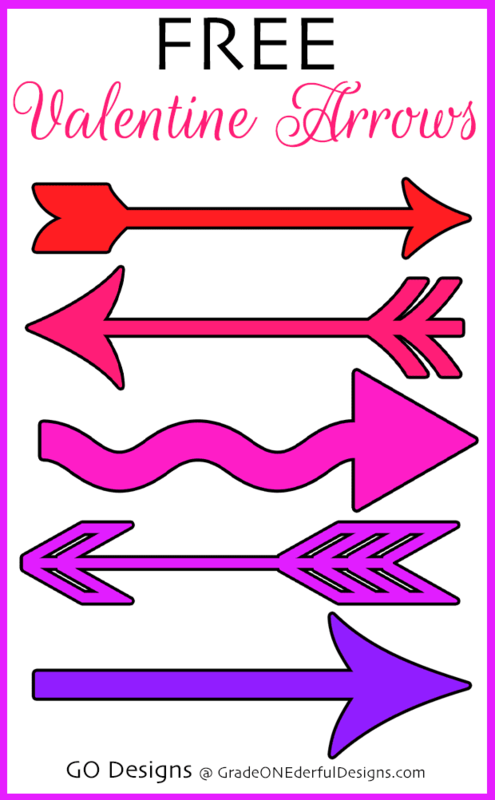 Today's offering is a set of pretty Valentine arrows. Each 300 dpi png image is about 6 1/2 inches wide. With the bright colours and black outline these will really pop on your printables. Be sure to check in tomorrow for some Valentine papers! 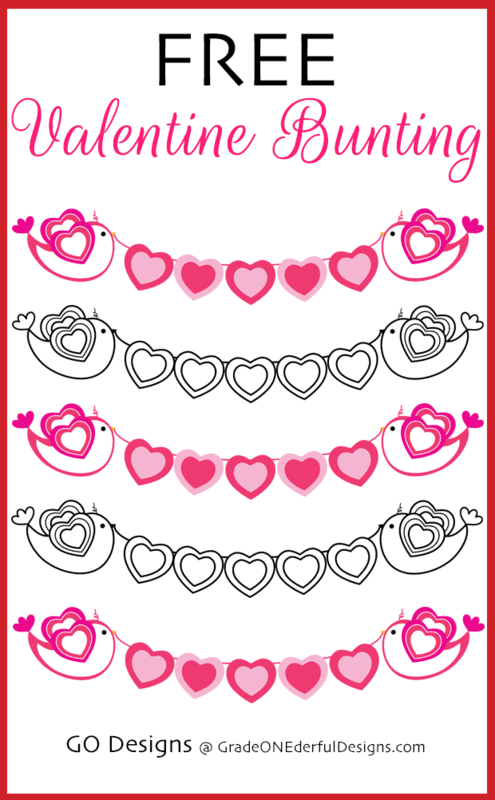 Welcome to Day 2 of the Valentine clipart freebies! 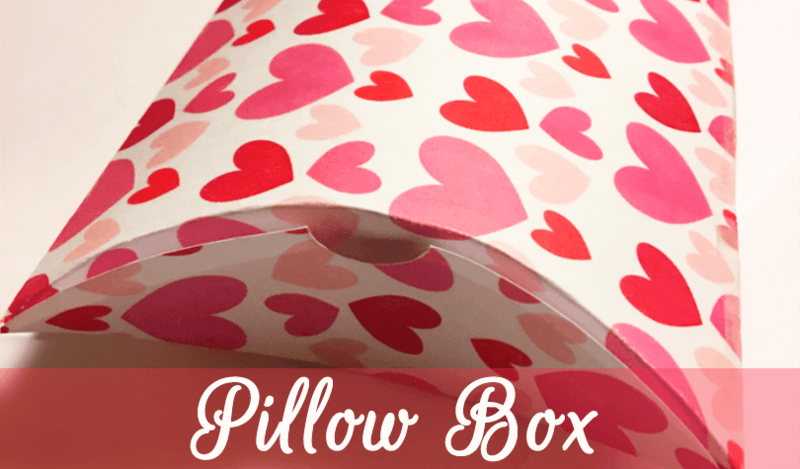 Today's freebie is this adorable and yet very practical pillow box! 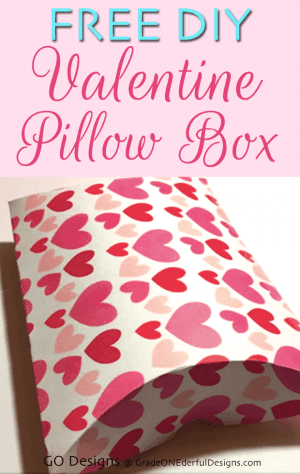 A pillow box is a really fun way to wrap up some little treats for your loved ones. They're perfect for chocolates and candies, gift certificates, jewellery and all sorts of goodies. Included in this freebie is the template below, which comes in two sizes, large and medium. The large one fills an 8.5 by 11 sheet of card stock and the medium-sized template is half the size. The large box is about 6x4 inches when assembled. 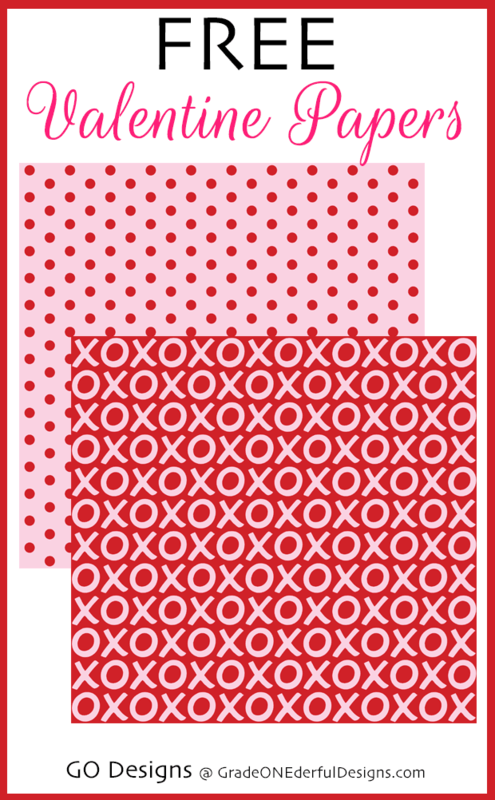 Download the template and valentine paper. Print the template onto card stock. Then print the heart paper onto the other side. Cut out the template carefully along the outer black lines. Lightly score the dotted lines for easy folding. I just used the end of my scissors, but you could also use the end of a knitting needle, the end of a pen cap, the corner of a ruler, pretty much anything that can score the paper without ripping it. And it IS important to score as it prevents the paper from cracking and wrinkling when you fold it. When scoring the curvy lines, just score small sections rather than the whole line. 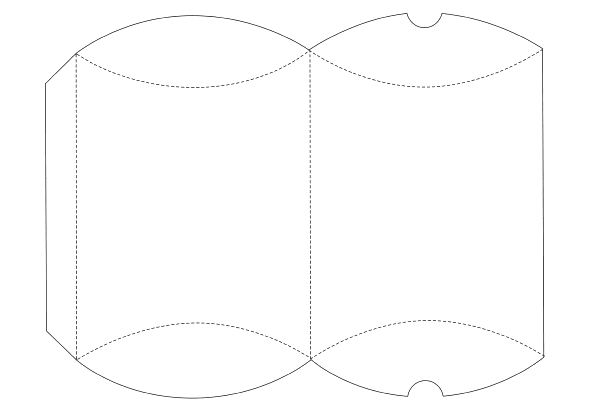 Fold the paper along the centre fold (white sides together). Add some glue to the outer flap (on the heart side) and glue the box together. Let dry (you might want to place it under something heavy to ensure a strong bond). Gently squeeze the long edges so that the box pops open a bit and then fold the end flaps into place. Here's my finished pillow box. This is the first one I've ever made and it took me about 10 minutes. I'm going to make several to hold Valentine treats for my husband, sons and their wives! Valentine Hearts to brighten your day! Whoo Hoo! It's a Valentine freebie-fest! 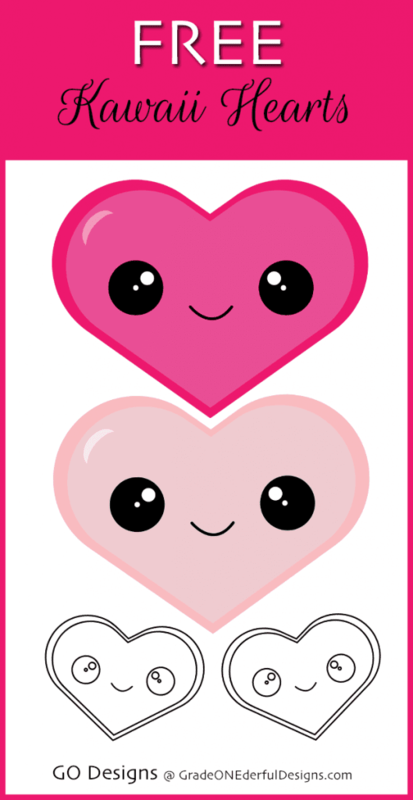 For the next 14 days I'm going to give away some Valentine clipart. 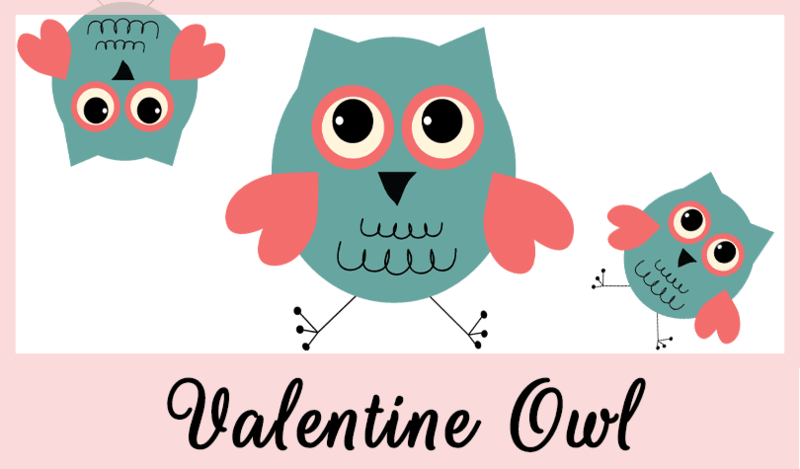 Be sure to pop into the blog every day until Valentine's Day for your fabulously cute freebies! Day 1 is all about these fabulous hearts! 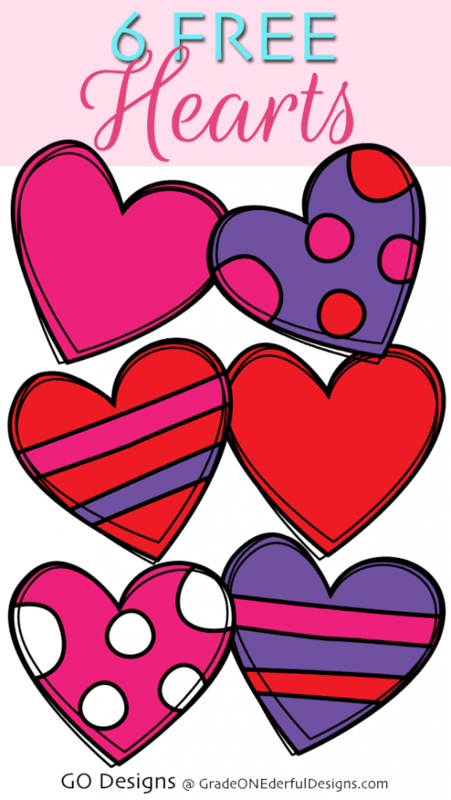 They would look amazing on your teacher products, worksheets, games, on Valentine invites and all sorts of printables. Click the image to grab all six individual png files. Each one is 300 dpi and about 5 inches tall. If you love them, please leave a comment and share this post with your friends. Looking to buy some Valentine Clipart? 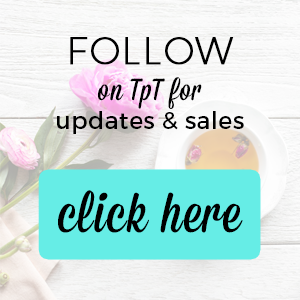 Be sure to check out my TpT Store.